Don't know about you, but I spent a quiet New Year's Eve at home with my wife and parents who were visiting. The highlight of the night was when I pulled the ol' "take video while they think they're posing for a photo" switcheroo. 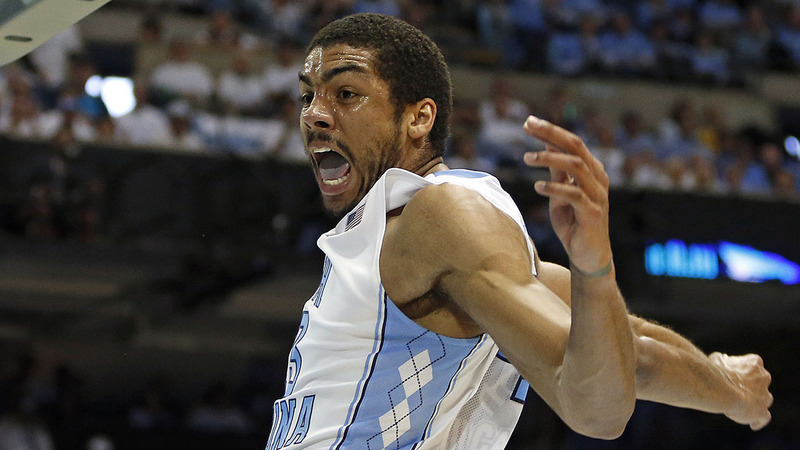 Former Tar Heel James Michael McAdoo had a far more interesting evening, it turns out. He and his wife, Lauren, a former UNC volleyball player welcomed their first child, a daughter. Here's the twist: Once Lauren realized she was in labor, little Sawyer Ray McAdoo decided she was in a rush. So much so that the couple's midwife never even had time to get there. The result - James Michael and Lauren handled the delivery themselves. That's hands-on parenting if I ever heard of it! Congrats to the McAdoos and their beautiful baby girl!